The singer as well as two other guests flew with USAF Thunderbirds during the Air Tattoo 2017. 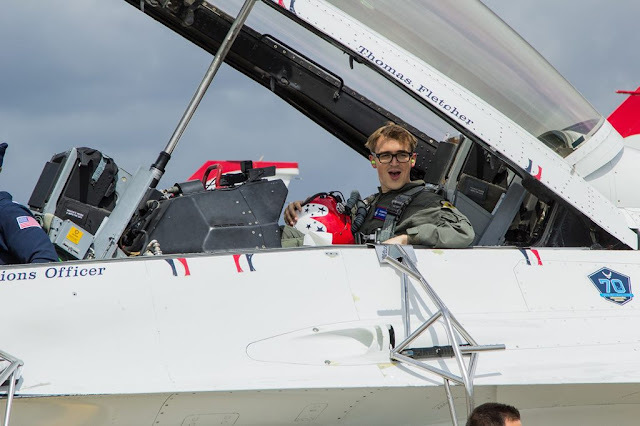 On July 13, Tom Fletcher, lead vocals and guitarist of the english pop-rock band McFly, joined USAF Thunderbirds for a flight in the back seat of F-16 number 7. The singer was taken to the skies for an intense ride which saw him momentarily take control of the fighter jet to perform a roll and a loop and experience a powerful 9.4Gs. The fact occurred in the day before the beginning of the Air Tattoo 2017, during a training flight of the US aerobatic team. 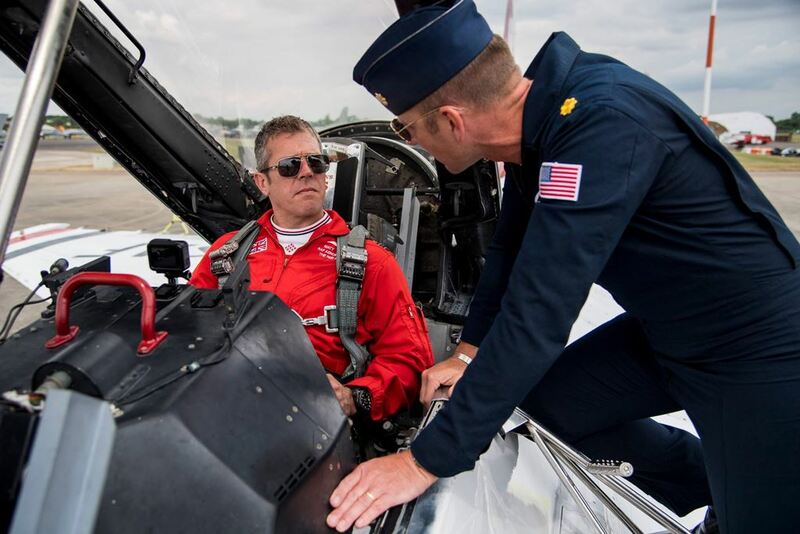 In addition, Lieutenant pilot Matt Masters, a RAF Red Arrows display pilot assigned to the Hawk number 4, rode along Thunderbirds during a practice demonstration. For the special occasion, a double seater Fighting Falcon received the number 4 on the fuselage. During the RIAT, the Thunderbirds offered another amazing experience to a guest when one of Britain's youngest private pilots has achieved a lifetime ambition of flying with one of the world's famous display teams (More info here).